Get the most of Christmas Markets in Prague and central Europe! When coming to the Central Europe in late November or December visiting the unique Christmas Markets is absolute MUST! The most interesting and famous ones are in Prague and Vienna but there are also beautiful markets in smaller Czech towns like Plzeň or České Budějovice. And a splendid market with a huge variety of excellent food and traditional drinks is also organized in Slovakian capitol Bratislava. Our secret tip! The Christmas markets in Vienna truly are an age-old tradition. The forerunners of the present-day events date back to the Middle Ages when in 1298 Albrecht I granted Vienna’s citizens the privilege of holding a December Market or “Krippenmarkt”. Since then, the character and prevalence of these markets has changed considerably. 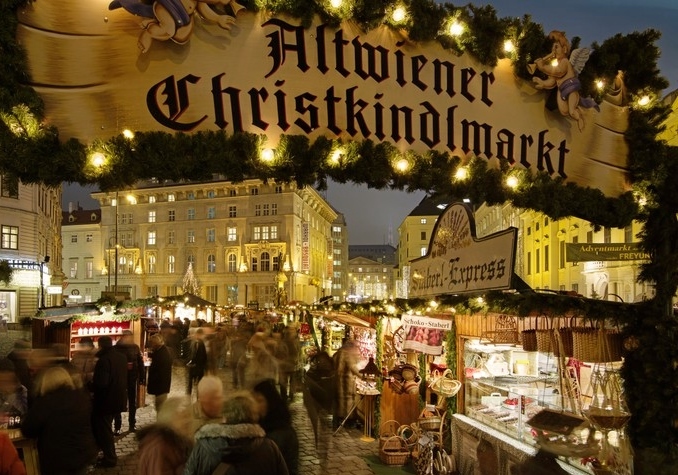 Nowadays, over 20 official Advent Markets sell a vast array of seasonal gifts and mouth-watering treats. The unique backdrop gives this market a charm of its own, and the delicious aromas are sure to lull all visitors into the seasonal joy. Inside the City Hall on the ground floor there is an area dedicated to children, where they can learn how to make Christmas cookies or candles. You can also listen to international choirs singing carols with free entrance on Fridays, Saturdays and Sundays. 1:30 – 4:30 p.m. Shopping, tasting of Christmas specialities, listening to Christmas carols etc. Christmas Markets in beer hometowns! For beer lovers it would be a great idea to couple visiting of the beautiful Christmas Markets with an excursion in one of the biggest and world famous Czech breweris – Pilsner Urquel in Plzeň or Budweiser Budvar in České Budějovice. These markets are special as the locals are selling unique crafts like candles, painted mugs, and homemade cookies there. 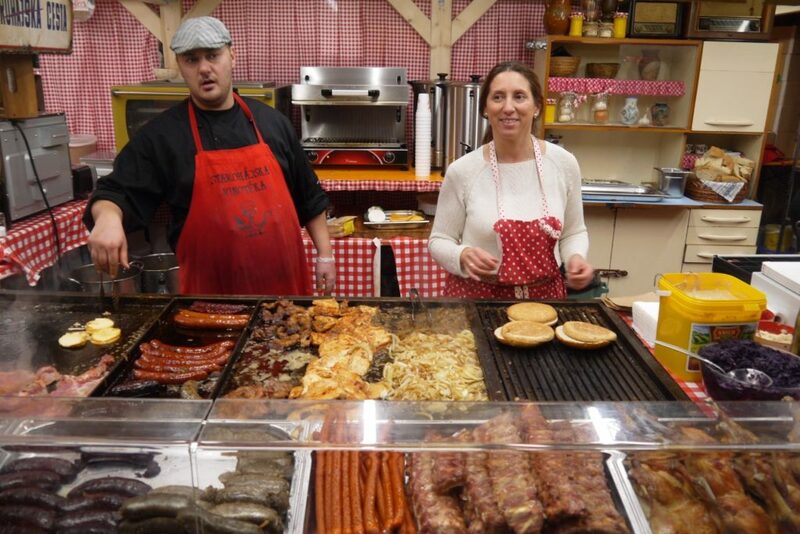 You can also enjoy live music and local food like sausages and cheese. For very authentic market experience, these are definitely the markets to check out. 3:00 – 5:30 p.m. Shopping, tasting of Christmas specialities, listening to Christmas carols etc. The city of Český Krumlov is magical at any time of year. At Christmas, however, its charm stands out even more. From November 29 until Three Kings the main square is dominated by a lit Christmas tree under which carols are sung and St. Nicholas walks around collecting letters for Baby Jesus. The atmosphere is underscored by a live nativity scene and the Christmas cheer is capped off by the Advent weekends with markets. 3:00 – 5:00 p.m. Shopping, tasting of Christmas specialities, listening to Christmas carols etc. The Christmas market in Bratislava has a long tradition and is a great place for people getting together for eating and drinking traditional dishes and drinks. 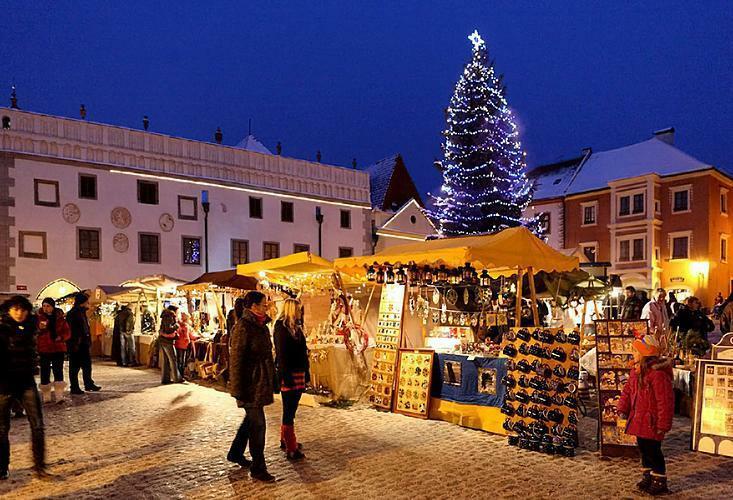 You can sense a great atmosphere of upcoming Christmas there on Bratislava´s Main Square. Apart from tasting the fantastic delicious specialities of famous Slovak cuisine and the mulled wine with cloves and many other different herbs and flavours (some of them dangerously strong) you can climb up to the tower of our Old Town Hall and get the beautiful view of the whole city, including Bratislava Castle. And one more point for Bratislava – the prices there are much cheaper than in Vienna while the quality of the soled products is really high. 12:30 a.m. – 5:00 p.m. Shopping and tasting of Christmas specialities, listening to Christmas carols etc. 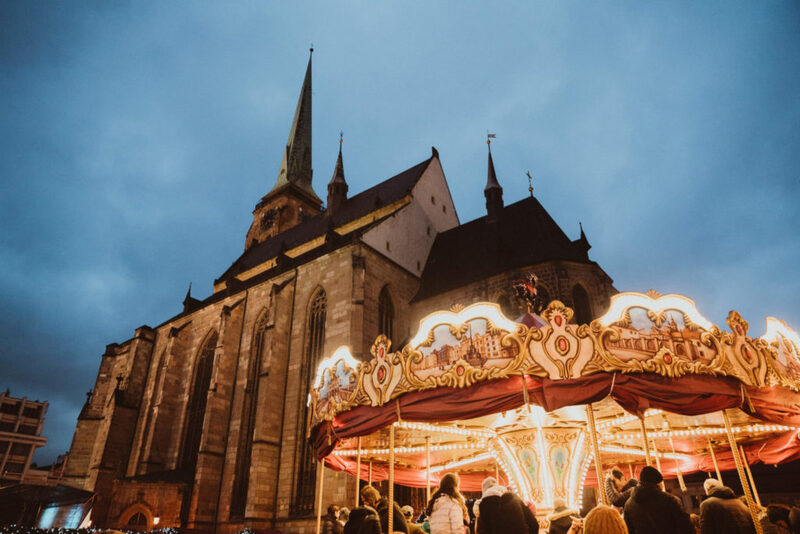 Trip to Bratislava´s Christmas Markets can be organized as a two-day tour with accommodation arranged in one of the lovely boutique hotels and a great sightseeing tour of Bratislava the next day.